I vacuumed up lots of cat hair. I got to watch Oprah and Dr. Phil a couple of times this week. I didn't set my alarm all week. The cats are in heat. Both of them. Simultaneously. Cycling. Together. Meeeeeoooooowww! begin by saying it was one really good week. Let's start with the previous weekend. 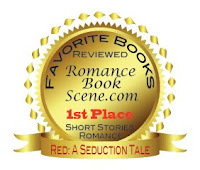 I received an email from Roni, at The Romance Book Scene, saying that she had chosen my novella, Red: A Seduction Tale, as her best short story for 2009. Woohooot! What a surprise and so much appreciated. Thank you, Roni! Monday: I finished a 2,000 word feature article on Louisville for a southern regional magazine, selected the pictures from a photo shoot I did last summer, and submitted it to the editor. Monday project, done! Tuesday: Had a cable television interview for a show that will air next week; the subject, Valentine's Day. She featured my Matchmaking Chef series. Yay! After that, I stopped by my old office to sign a contract for some future work with them. 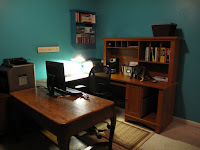 Wednesday: I worked the entire solid day on finishing the painting of my office, then dragging the furniture back in, arranging and organizing, etc.... Whew! Felt good! Thursday: The edits for my cookbook, Family Stories, Family Recipes came in from my editor. That was an entire day's work, which spilled over a little until Friday. Friday: Finished the edits, selected stock photos and some of my own pictures for the cookbook, cropped, enhanced, fiddled with, arranged, etc... to send off to the editor, as well. Cookbook project done! Later in the day, the galley for a Mia Jae short story collection came in, so I read through the galley, and returned that one as well to the editor. PLUS, I worked 6 hours on contract work for former employer (wrote two reports, proofed two reports, a 1 1/4 hour conference call, a phone call followup...). Love the new office color! And, boy! Have you been busy! I wanted to come down to Louisville for the coffee visit, but it was horrible weather up here and I didn't want to drive an hour an a half in it. Anyway, I just wanted to say that I really enjoy your blog. And congrats on those awards! That must feel great. Have a great 'nother author week!